It was a sunny morning and the Gilray campsite in the Western Cape was a hive of activity. 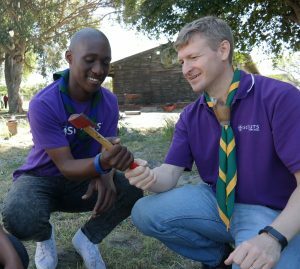 The Western Cape Scouting in Schools (SIS) programme was running a camp with a few of the interns and Scouts from local Gugulethu schools. Buhle Ndloni (19) was a SiS intern and ran Scouting daily at Fezeka Highschool. He sometimes also assists at the Gugulethu community Scout Group 1st Ikwezi. “I knew about Scouting before I joined the programme as my older sister Siphokazi was a Scout and went to the World Jamboree in 2007. So I knew that Scouting gives young people good opportunities”, explains Buhle. “I finished my matric last year and wanted to take a year to better my skills before studying to be an Emergency medical technician (EMT). My best friend Siphosethu “Sethu”, told me about the screening for interns and so I went with him and became an intern”. “The SIS programme has taught me how to talk to people, how to be disciplined and I have also been able to do courses and get more skills. I did my First Aid level 1 and spoke to the tutor about becoming an EMT. I live in Gugulethu. When things happen and people need help, it takes a very long time for the ambulance to arrive. So maybe by me being there, I can help people faster”, he says. 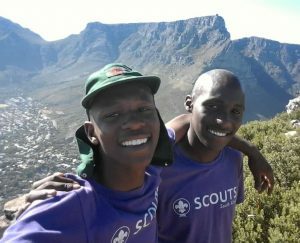 When asked about his favourite activities so far, he doesn’t hesitate and states “Seeing the sun rise from on top of Lions Head with my Scouts from Fezeka High School! 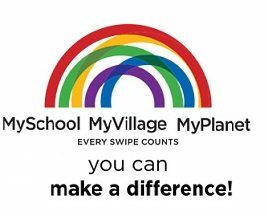 We needed R50 per person for transport to Lions Head and so we did a fundraiser with the other Scouters. Every time a Scouter forgot to wear their scarf, they needed to pay R2 towards the hike. We were able to raise some of the money. Sethu then spoke to people to help with transport and we did it! We organised everything and left early in the morning. Some parts of the hike were not easy, but we saw the sunrise from on top of the mountain”, he says with a huge smile on his face. “Being part of this programme has helped me to speak better English, to get experience in engaging with people and kids. I have also learnt how to manage situations and how to be disciplined. 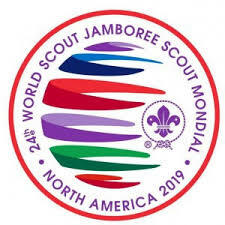 I want to continue Scouting after this year and do more courses. We met with Scouts from Plumstead recently and now I would really like to learn how to sail”, he concludes.